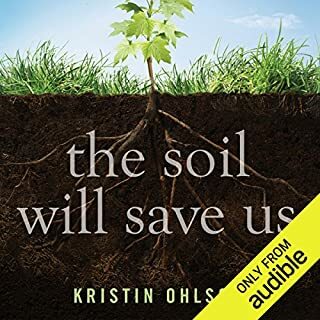 In The Soil Will Save Us, journalist and bestselling author Kristin Ohlson makes an elegantly argued, passionate case for "our great green hope"—a way in which we can not only heal the land but also turn atmospheric carbon into beneficial soil carbon—and potentially reverse global warming. Her discoveries and vivid storytelling will revolutionize the way we think about our food, our landscapes, our plants, and our relationship to Earth. Will forever change the way I farm. Can urban farms reduce neighborhood crime? 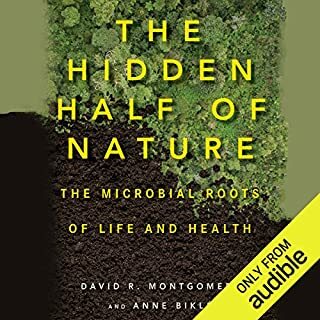 These may not sound like typical questions for a family physician to consider, but in Farmacology, Daphne Miller, MD, ventures out of her medical office and travels to seven innovative family farms around the country on a quest to discover the hidden connections between how we care for our bodies and how we grow our food. Miller also seeks out the perspectives of noted biomedical scientists and artfully weaves in their research, along with stories from her own practice. Farmacology offers a profound new approach to healing. This book is REMARKABLE! Life changing! They destroy plant diseases. They break down toxins. They plough the earth. They transform forests. They’ve survived two mass extinctions, including the one that wiped out the dinosaur. Not bad for a creature that’s deaf, blind, and spineless. Who knew that earthworms were one of our planet’s most important caretakers? Or that Charles Darwin devoted his last years to studying their remarkable achievements? For decades, it has been nearly universal dogma among environmentalists and health advocates that cattle and beef are public enemy number one. But is the matter really so clear? Hardly, argues environmental lawyer turned rancher Nicolette Hahn Niman in her new book, Defending Beef. The public has long been led to believe that livestock, especially cattle, erode soils, pollute air and water, damage riparian areas, and decimate wildlife populations. In Defending Beef, Hahn Niman argues that cattle are not inherently bad for either the Earth or our own nutritional health. A Soil Owner's Manual: How to Restore and Maintain Soil Health is about restoring the capacity of your soil to perform all the functions it was intended to perform. 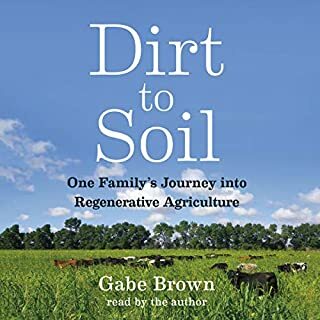 This book is not another fanciful guide on how to continuously manipulate and amend your soil to try and keep it productive. 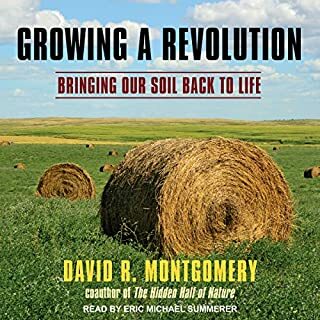 This book will change the way you think about and manage your soil. It may even change your life. 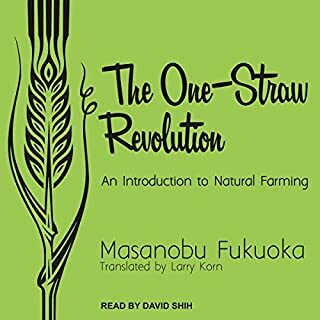 If you are interested in solving the problem of dysfunctional soil and successfully addressing the symptoms of soil erosion, water runoff, nutrient deficiencies, compaction, soil crusting, weeds, insect pests, plant diseases, and water pollution, or simply wish to grow healthy vegetables in your family garden, then this book is for you. 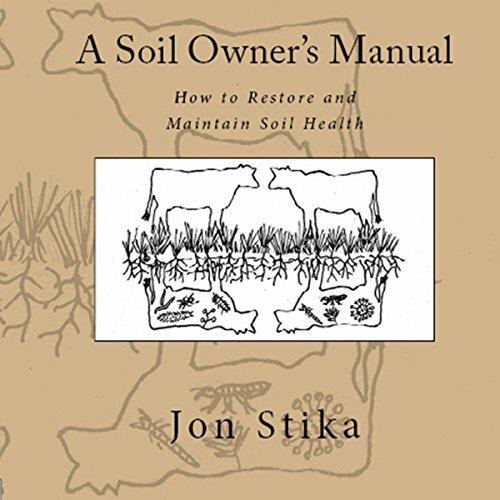 Soil health pioneer Jon Stika describes in simple terms how you can bring your soil back to its full productive potential by understanding and applying the principles that built your soil in the first place. Understanding how the soil functions is critical to reducing the reliance on expensive inputs to maintain yields. Working with, instead of against, the processes that naturally govern the soil can increase profitability and restore the soil to health. Restoring soil health can proactively solve natural resource issues before regulations are imposed that will merely address the symptoms. 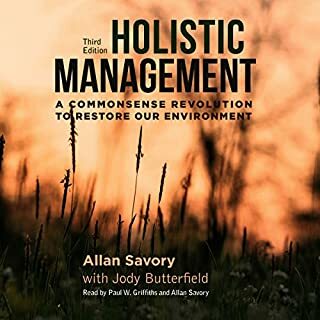 This book will lead you through the basic biology and guiding principles that will allow you to assess and restore your soil. It is part of a movement currently underway in agriculture that is working to restore what has been lost. A Soil Owner's Manual: How to Restore and Maintain Soil Health will give you the opportunity to be part of this movement. Restoring soil health is restoring hope in the future of agriculture, from large farm fields and pastures, down to your own vegetable or flower garden. I highly recommend this wether you're involved in Agriculture or not. Small scale, large scale; conventional, strip or no tillage; this is a must read. The least we can do as humans is understand what is beneath our feet. I found it very informative. I am excited about farming but have no prior knowledge of what plants needed for food or amount of water. it was very enlightening to hear all the factors that come into play on a farm. Should never have been made into an audiobook. This book may have a lot of valuable information. I will never know. I could not get past the narrator reading out URLs, and subtitles for pictures. If there are graphs pictures and charts that are key to the understanding of a book, it should not be made into an audiobook. I'm not a farmer or gardener, but I loved this book. The author doesn't just give us the technical details of soil ecology, but also threads through little nuggets of philosophy and also examples and analogies to illustrate his points. It sounds silly to say this about a book about the biology and chemistry of soil, but I was rivetted. Hopefully these new revelations will give us a new, greener revolution. The start of a journey towards a healthier planet. Unleash the soil web and the benefits will come.